Difference between revisions of "Schmidt, William J. (1916-2010)"
[[File:William%20J.%20Schmidt%202.jpg|300px|thumb|right|''William J. Schmidt (1916-2010)'']] William Jacob "Bill" Schmidt: born 29 July 1916 on his family’s estate, Krasnopol, near Rosenfeld, [[Omsk Mennonite Settlement (Siberia, Russia)|Omsk]], Asiatic Russia. He was the fifth child of nine born to Jacob Heinrich Schmidt (1 January 1885, [[Herzenberg (Ekaterinoslav, Ukraine)|Herzenberg]], Ekaterinoslav, South Russia - 30 January 1966, [[Abbotsford (British Columbia, Canada)|Abbotsford]], British Columbia, Canada) and Elizabeth (Born) Schmidt (5 February 1889, Herzenberg, Ekaterinoslav, South Russia - 19 February 1983, Abbotsford, British Columbia). Bill married Mary "Manja" Toews (15 September 1919, Alexanderkrone, Molotschna Mennonite Settlement, South Russia - 14 June 2011, Abbotsford, British Columbia, Canada), daughter of Abraham and Maria (Enns) Toews on 18 March 1943. Bill and Mary had four children: Leona, Loreen, William, and Lillian. William died 9 June 2010 in Abbotsford, British Columbia, where he was buried.
'']] William Jacob "Bill" Schmidt: born 29 July 1916 on his family’s estate, Krasnopol, near Rosenfeld, [[Omsk Mennonite Settlement (Siberia, Russia)|Omsk]], Asiatic Russia. He was the fifth child of nine born to Jacob Heinrich Schmidt (1 January 1885, [[Herzenberg (Ekaterinoslav, Ukraine)|Herzenberg]], Ekaterinoslav, South Russia - 30 January 1966, [[Abbotsford (British Columbia, Canada)|Abbotsford]], British Columbia, Canada) and Elizabeth (Born) Schmidt (5 February 1889, Herzenberg, Ekaterinoslav, South Russia - 19 February 1983, Abbotsford, British Columbia). Bill married Mary "Manja" Toews (15 September 1919, Alexanderkrone, Molotschna Mennonite Settlement, South Russia - 14 June 2011, Abbotsford, British Columbia, Canada), daughter of Abraham and Maria (Enns) Toews on 18 March 1943. Bill and Mary had four children: Leona, Loreen, William, and Lillian. William died 9 June 2010 in Abbotsford, British Columbia, where he was buried. As the Bolsheviks came to power in [[Russia|Russia]] in 1917, Bill’s father feared that freedom of religion and other privileges of the Mennonites would soon end. In 1926 the family immigrated to Canada, arriving in [[Coaldale (Alberta, Canada)|Coaldale]], Alberta on 26 April 1926. Bill helped his dad work the farm located near Coaldale, south of Calgary, which he later rented and then purchased. William Jacob "Bill" Schmidt: born 29 July 1916 on his family’s estate, Krasnopol, near Rosenfeld, Omsk, Asiatic Russia. He was the fifth child of nine born to Jacob Heinrich Schmidt (1 January 1885, Herzenberg, Ekaterinoslav, South Russia - 30 January 1966, Abbotsford, British Columbia, Canada) and Elizabeth (Born) Schmidt (5 February 1889, Herzenberg, Ekaterinoslav, South Russia - 19 February 1983, Abbotsford, British Columbia). Bill married Mary "Manja" Toews (15 September 1919, Alexanderkrone, Molotschna Mennonite Settlement, South Russia - 14 June 2011, Abbotsford, British Columbia, Canada), daughter of Abraham and Maria (Enns) Toews on 18 March 1943. Bill and Mary had four children: Leona, Loreen, William, and Lillian. William died 9 June 2010 in Abbotsford, British Columbia, where he was buried. As the Bolsheviks came to power in Russia in 1917, Bill’s father feared that freedom of religion and other privileges of the Mennonites would soon end. In 1926 the family immigrated to Canada, arriving in Coaldale, Alberta on 26 April 1926. Bill helped his dad work the farm located near Coaldale, south of Calgary, which he later rented and then purchased. In 1937, during his first month in Bible School, Bill accepted Jesus Christ as his personal savior. He was baptized in the Coaldale Mennonite Brethren (MB) Church, the church that later ordained him for ministry. He always celebrated two birth dates: his natural birth day on 29 July, and his “spiritual” birthday on 25 November. When his parents decided to move to British Columbia (BC) in spring 1943, Bill and his new bride rented the farm. Bill had married Mary Toews on 18 March 1943. Together they worked their sugar beet farm. Bill and Mary made a decision in 1955 to do something other than raise sugar beets. They leased out their farm, packed up a few belongings and left for Tabor College in Kansas, where William earned his Bachelor of Arts degree. He went on to Wichita State University where he earned his Master of Arts degree with a major in history. His formal Biblical education included Bible and theology training at the Mennonite Brethren Bible College in Winnipeg and Waterloo Lutheran Seminary in Ontario. His professional life after college included two assignments at Gospel Light Hour (1957-1959 and 1964-1967), a radio broadcast ministry in Winnipeg, Manitoba. 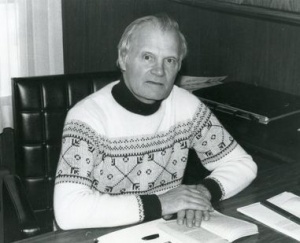 He and his brother John M. Schmidt directed the early years of this work which has become the worldwide ministry now known as Family Life Network (2010). He was pastor of the Kitchener MB Church in Kitchener, Ontario from 1959 to 1964 and Elmwood MB Church in Winnipeg, Manitoba from 1967 to 1972. Following pastoral service, he spent eight years traveling across Canada promoting the fledgling stewardship ministry of the Canadian Conference of Mennonite Brethren Churches. Today (2010) that ministry administers a well-endowed stewardship fund, serving a variety of needs for Conference ministries and personnel. Bill deeply appreciated Mary’s faithful support. She organized their young family in their various moves. She enthusiastically practiced hospitality for numerous visitors in their home, especially in their years in the pastorate. At other times she also spent many lonely weeks as Bill traveled for the Mennonite Brethren Conference. Bill began his last formal position as manager of Menno Court a senior’s residence in Vancouver, BC. He and his wife Mary retired to Clearbrook, BC in 1984. Thiessen, Henry and Leona Thiessen. "Schmidt, William J. (1916-2010)." Global Anabaptist Mennonite Encyclopedia Online. August 2011. Web. 24 Apr 2019. http://gameo.org/index.php?title=Schmidt,_William_J._(1916-2010)&oldid=96353. Thiessen, Henry and Leona Thiessen. (August 2011). Schmidt, William J. (1916-2010). Global Anabaptist Mennonite Encyclopedia Online. Retrieved 24 April 2019, from http://gameo.org/index.php?title=Schmidt,_William_J._(1916-2010)&oldid=96353.